Leo Fender's 1952 Telecaster legitimized the electric guitar as a mainstream instrument. Session blues and country players praised the Tele for its blue-collar price and trendsetting looks. And with it, artists like Jimmy Page and Keith Richards shaped the very sound of rock 'n' roll. The Fender American Original '50s Telecaster has the heart and soul of a true '52. Period correct are this Tele's strong, straight-grained ash body with single-ply phenolic pickguard and brass barrel saddles; hand-filling baseball bat "U" maple neck; spanky maple fingerboard with vintage-tall frets and black dot inlays; and painstakingly correct, copper-plated Pure Vintage '52 pickups. Yet tailored for the modern player is the comfortable 9.5" fingerboard, which minimizes fretting out as you move up the neck. Celebrate this electrified period in music history with the Fender American Original '50s Telecaster from Hiendguitar. For thumb-behind players who like a good, solid neck in the hand, this Tele's '50s "U" profile is aces. 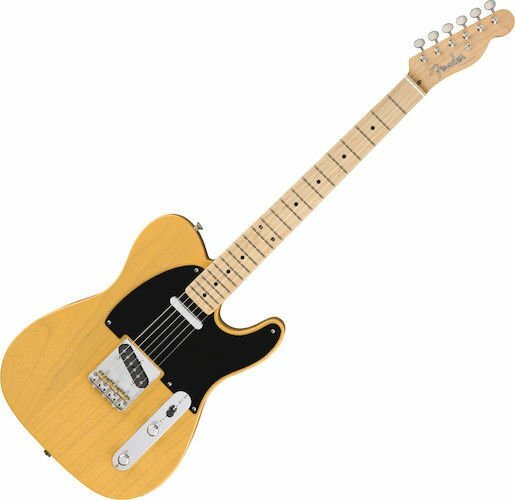 Where the American Original '50s Telecaster has the advantage over a classic '52 is its enlarged 9.5" (from 7.25") fingerboard radius, which allows for upper-register leads and bends with less risk of fretting out. These Pure Vintage '52 single-coils are as period correct as they come, from the fiber bobbins and Alnico III magnets right down to the enamel-coated coil wire and cloth-covered output wires. The steel base plates are even copper-plated for authenticity. The woody twang and delicate dynamics of the American classic are reborn in this stunning tribute. 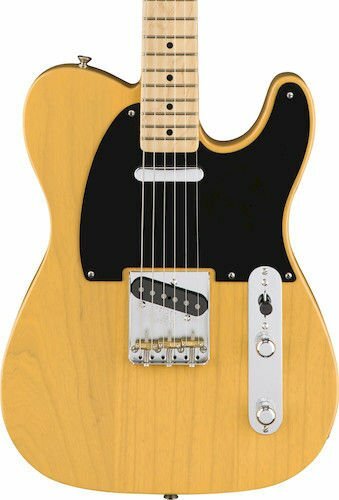 This Tele gets an extra dash of '50s authenticity with its ash body and nitrocellulose lacquer finish, which doesn't just let the wood breathe, but permits authentic wear as it ages. If you're looking for a modern player with '50s inspiration, look no further than the Fender American Original '50s Telecaster from Hiendguitar.